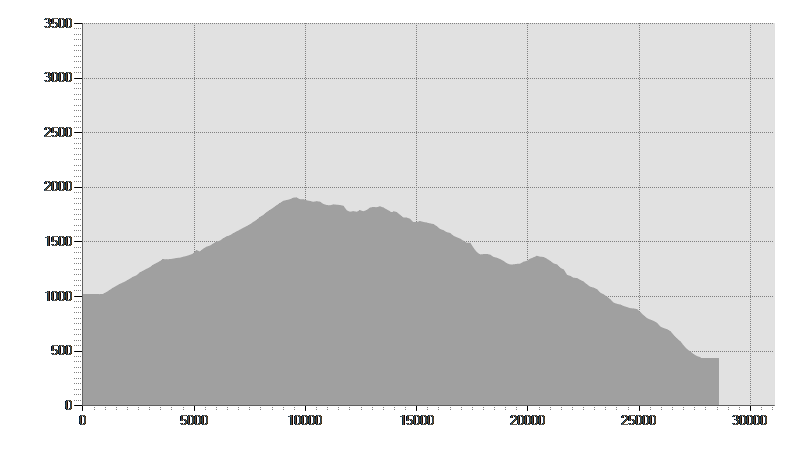 This is our last route, which leads us to Tirano again with a ride over the mountains of the orographic left. The long and challenging halfpaved and halfdirt climb takes us to the cliff from where San Romerio's Church has been dominating the Lake and Valposchiavo for centuries. The panorama goes from the western mountains Piz Varuna, Corno Campascio and Piz Canciano to the south, where we can admire the end of the valley of Canton Grisons reaching Italy. We can have a good pit stop at the nearby mountain hut enjoying its tasty typical dishes. The descent southwards runs on few trail stretches and on many asphalted and dirt roads while the vista opens progressively over Valtellina and the Orobic Alps above Tirano. This route can be ridden backwards too and you can also climb up to San Romerio from Miralago following the alternative way n. 1.From Poschiavo Railway Station 1014 m start cycling eastwards and take the road going up to Cologna. After riding beyond the last houses of the hamlet at 1180 meters, you turn right on the dirt road into the Val da Prada. By the first switch back at approximately 1400 meters there is a diversion to the right that leads to the old disused path climbing up to San Romerio. We instead proceed to the left and at the following hairpin we meet the trail coming from Cansume' 1450 m see previous route n. 39. We keep on climbing with toil up to Sclupetoir at 1906 meters above sea level. The route continues on the dirt road to Presa Dafo 1848 m from where the sometimes stony trail begins, which goes through the Val da Terman and leads directly to San Romerio 1794 m. On the downhill dirt road we do not take the first diversion to the right on the trail that goes down to Selvaplana downhill alternative way n. 2, but we proceed overhanging the valley until we get to another curve where we meet the sec ond deviation always on a dirt road coming up from Miralago uphill alternative way n. 1. We soon ride on the asphalt and pass through Viano 1280 m and Dogana 1380 m until we come to the frontier. The road breaks off and we have to descend on a short stretch of a rather bumpy trail, which arrives below the old Customs Service station. Then we take the dirt road again, which leads us to Baruffini and from there we reach Tirano both on the asphalt and on trails according to the indications of the route n. 5.